Kak Vsegda translates to 'as always', a lamentation often uttered to express the experience of deep disappointment in the cyclical and perpetual failures of various institutions, groups and individuals. It expresses a certain sense of hopelessness born out of a history of subjugation and loss. The collapse of the Soviet system and its notion of futurity premised on a total break in history inaugurated a jingoistic nationalism. This new regime seeks to perpetuate ancient traumas through gendered expressions of power and loss. "Kak Vsegda" the old people mutter as we find ourselves once again at the beginning of history, with a stone hoisted against an unseen enemy. A cry is witnessed but is unheard in the bluster. How will we know which is history and which is memory? Will it be in stories carried through in thick and hidden layers? 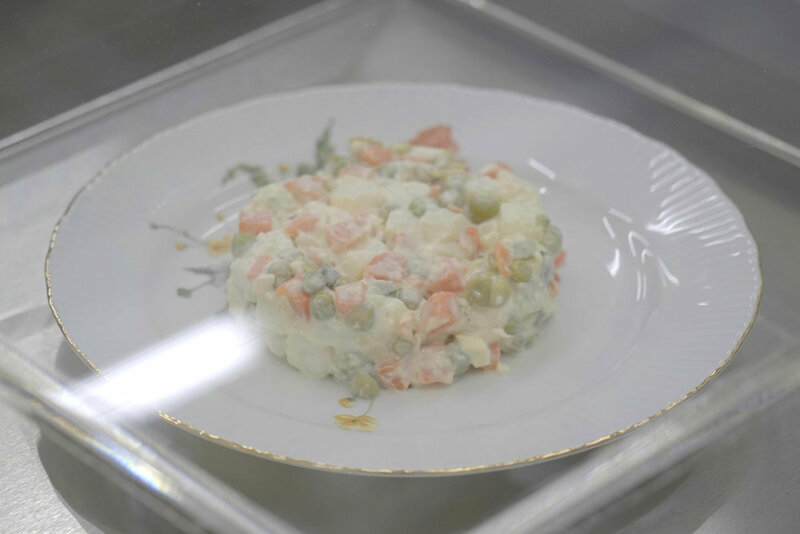 Kak Vsegda / As Always is a video and installation project that centres around Kalmenson's migration from Leningrad, USSR and return after 27 years to Saint Petersburg, Russia. The show presents performance documentation from his residency at the National Center for Contemporary Art in Saint Petersburg and immersive installation works. 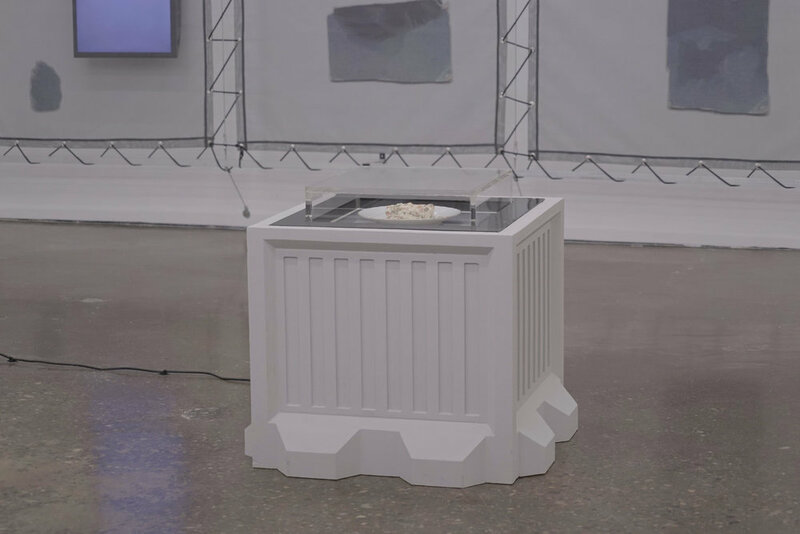 Assembled through fragments gathered from a flea market near his childhood home and family stories Kalmenson presents a searching vision which seeks to dissect various motifs of memory construction. Atlas is a multi-screen video installation which brings into relief the shifting notions of futurity and history that have accompanied the transition from the Soviet period into the present era in Russia. The work centres around a 1980s Soviet wristwatch which, due to a combination of mechanical limitations and perhaps a sense of secular millenarianism, marks the end of time at the year 2000 when Putin's regime consolidated its power. The watch is circumscribed by a multi-screen display depicting a Soviet plastic figurine, rotating counter-clockwise, of an early Homo Sapiens hoisting a boulder above its head and poised to strike, rendering the figure somewhere between Atlas and Sisyphus. In its tension with the watch, the figure serves as an analogue of the contemporary Russian regime’s resurrection of its imperial legacy and rehabilitation of the Tsars as a backwards-oriented, unifying narrative, in stark contrast to the totalising, futuristic and progress-oriented Soviet narrative. 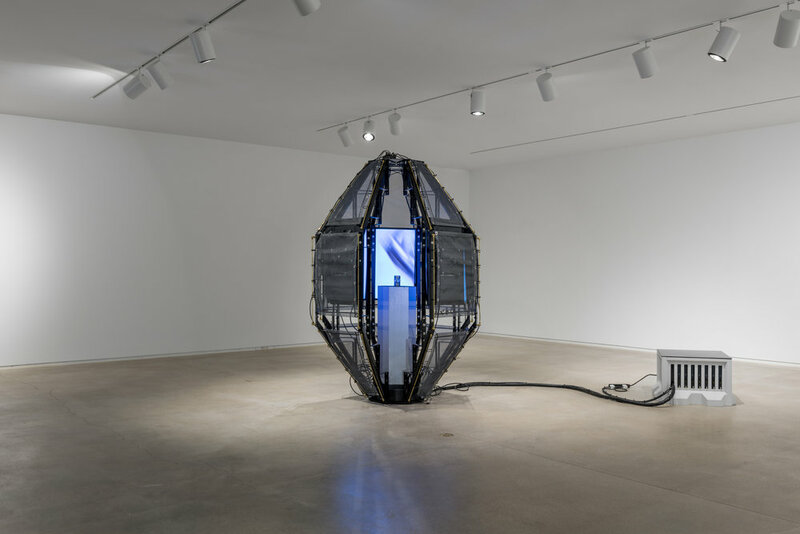 Through their construction of the future, both regimes relied on a continual remaking of the past and the formation of messianic notions of time, spinning in both directions from an axis of the present.